The Speck VG-155 liquid ring vacuum pump. The team at Pump Solutions Australasia gives the lowdown on the different types and applications of vacuum pumps in industry. VACUUM pumps are among the more common pumps for many industrial uses. They work by creating a partial vacuum in a chamber, creating a lowered pressure which attracts air and liquids from the input. The chamber is then evacuated, creating another vacuum and the process is repeated for a continuous flow. While momentum transfer pumps, entrapment pumps and positive displacement pumps are all classified as vacuum pumps, positive displacement pumps are the most common and the other two varieties are usually used in conjunction with one or more positive displacement pumps in series. There are five popular kinds of positive displacement vacuum pumps: liquid ring pumps, double diaphragm pumps, rotary vane pumps, blowers and side channel pumps. Liquid ring pumps can be used as standard vacuum pumps but the process can also be inverted for use as a compressor. They are used in the petroleum, paper, gas and agriculture industries. For example, moulded egg cartons are built using liquid ring pumps. Air-operated double diaphragm (AODD) pumps run on compressed air and move a diaphragm to expand and contract a chamber. They are used to pump a variety of fluids in industry, such as slurries, acids and water. They are also used in the food and beverage industry, especially in food processing, because their design is appropriate for sanitary applications. Rotary vane pumps use a rotor mounted on a vane inside a cavity. They are used for refrigeration, aviation fuel transfer, aerosols, solvents and propellants. They are popular for use in espresso coffee machines and soft drink carbonators. When the process used to create a vacuum is reversed, it creates a blower. Side channel pumps are used mainly for the handling of vapours and gases. They are used when a measurement called ‘NPSH’, or the ratio of pressure over vapour pressure, must be low. 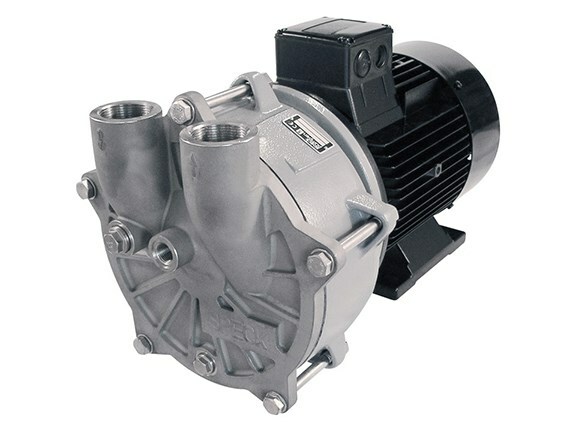 Vacuum pumps are used for a wide variety of applications in numerous industries — heating & cooling, research & development, petroleum, wastewater, mining, food & beverage, hospitality, hospitals & other medical facilities, motor vehicles, pharmaceutical facilities, moulding, investment casting and packaging. 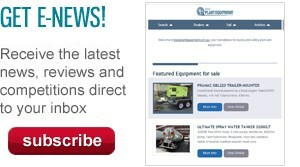 "Vacuum pumps are among the most popular pumps in the world," Pump Solutions Australasia owner Mike Hurlbatt says. "If you have a well and a hand water pump, that is an elementary version of a vacuum pump. From the backyard to the largest industries across the world, vacuum pumps are responsible for a lot of things we take for granted."